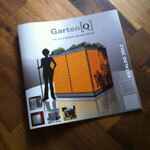 Get an overview about our range of modern garden cabinets and designer garden houses. All Garden[Q] models at a glance. 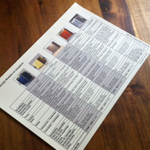 Materials and prices. 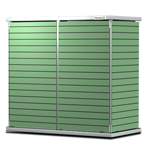 The perfect garden-equipment cabinet for your garden. The Garden[Q]pure is a modern designer garden house. The better alternative of Garden House with plantable flat roof. The flexible garden House with lean-to roof and bicycle storage area.